The degree is offered with options in Professional, Biochemistry, Environmental and General. All four options prepare students for employment opportunities in industry or government positions. The degree prepares students to teach Physical Science and Chemistry in grades 7 through 12. The degree leads to a career of great significance with graduates serving a critical role in society while they empower youth to become successful in a wide variety of endeavors. The Bachelor of Science in Physics is housed within the College of Natural & Health Sciences with application of mathematical principles to universal study of a variety of scientific subject matters. This program is designed to provide highly technical skills alongside the theoretical knowledge to be successful in a variety of industries. This program is designed to provide highly technical skills alongside the theoretical knowledge to be successful in the nuclear power industry. 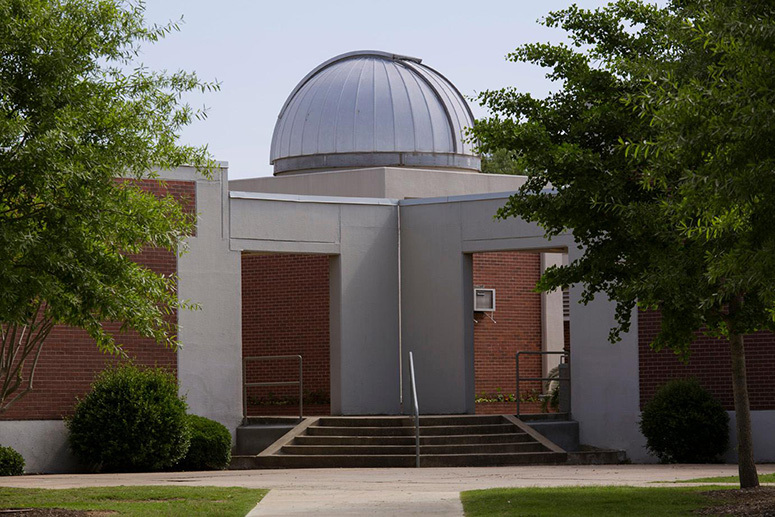 The degree prepares students to teach Physical Science and Physics in grades 7 through 12. The degree leads to a career of great significance with graduates serving a critical role in society while they empower youth to become successful in a wide variety of endeavors. The Professional and Petroleum options require additional coursework in sediment, mapping, and subsurface diagrams for application in industrial investigations. This program is designed to provide a well-rounded curriculum within the fields of Chemistry, Physics, and Geology. Students will also be allowed to choose a major emphasis in General Physical Sciences, Astronomy, Chemistry, Geology, Meteorology, or Physics.